Their boss is the Green Pheasant. This post contains remarks about Yakuza, manga authors, and the Shinsengumi. 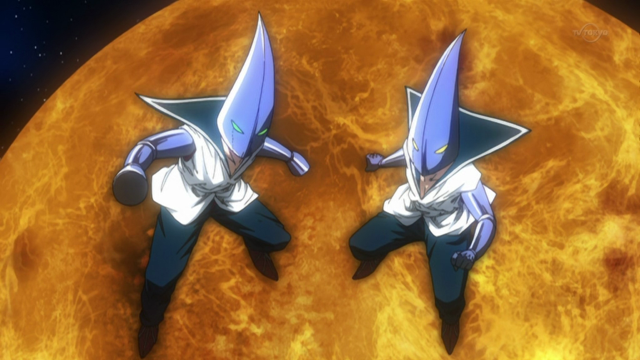 Arakawa under the Bridge^2 episode 5, Bakuman episode 6, and Hakuouki Hekketsu-Roku episode 16. 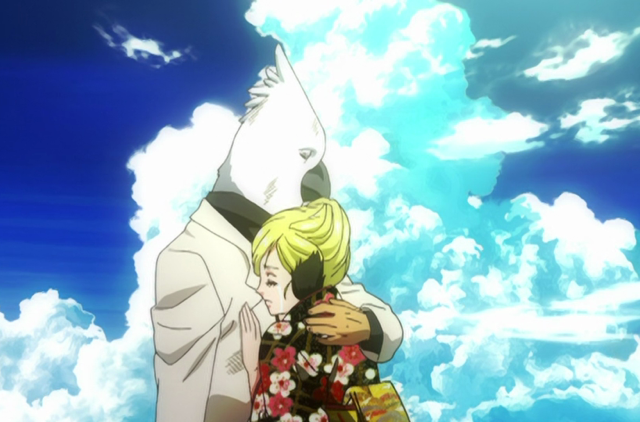 My favorite part of Arakawa this week was the story of Billy and Jacqueline. Little did we realize but the couple have a very dramatic backstory. Billy and Jacqueline’s love was never meant to be. Unfortunately there are 100 Kokucho-kai goons surrounding him. The Kokucho-kai are the biggest gang in the Tokyo area. 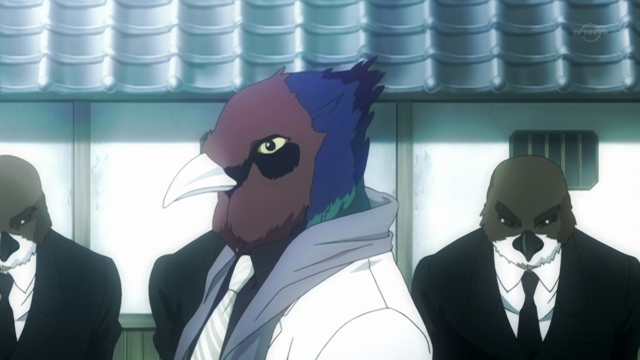 Or maybe the biggest gang with bird heads. Anyways, Billy crossed the line when he ran off with the boss’ woman. Just as Jacqueline slips into a kimono (and gets a heavier-lined drawing style), Billy arrives as promised. Billy gets his wings clipped. "I don't need to fly away any more." 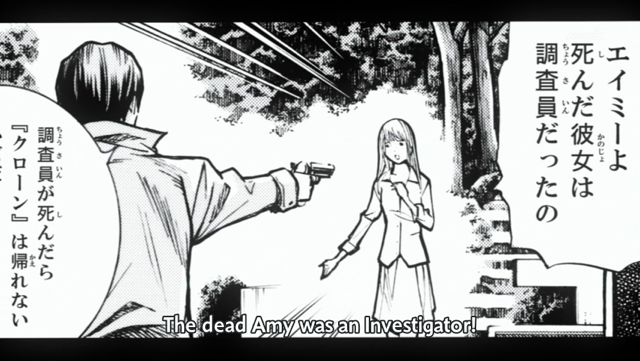 In addition to the story of Billy and Jacqueline’s love, there was a story about a mangaka. The character previously introduced as the captain of Earth Defense Force, turns out to be a manga artist who is sick of working on moe-moe series. The best bit was the make-over he gave the twins. They're usually not this cool. 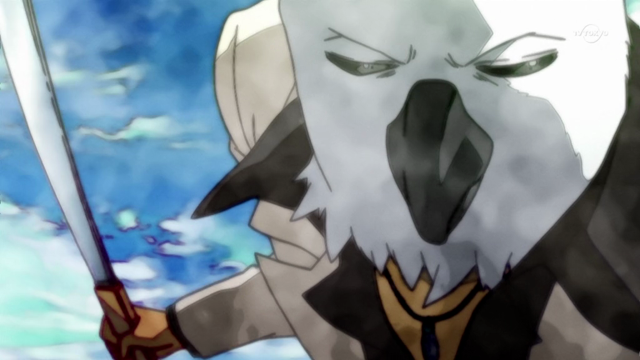 Now lets turn to a series entirely about mangaka. Pretty much sums up this episode. 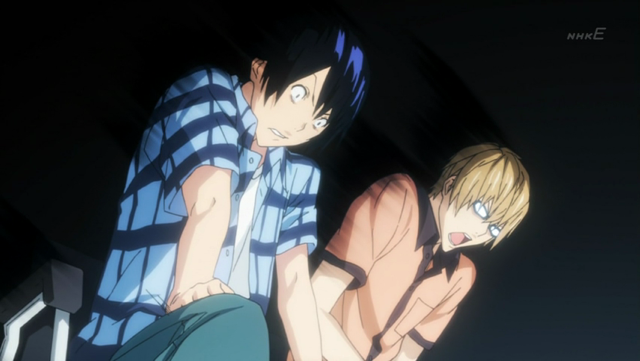 In Bakuman 6, the meeting with the editor occurs. Despite their worries, the reaction is quite favorable. The boys get the editor’s email address (not his phone number), and their manuscript will be submitted to the monthly contest. We get to see Earth Two in all its glory. That’s not to say the editor didn’t have criticisms. Still the pair are happy that they received a favorable reading, and they vow to do better next time. This hasn't been the happiest show lately. 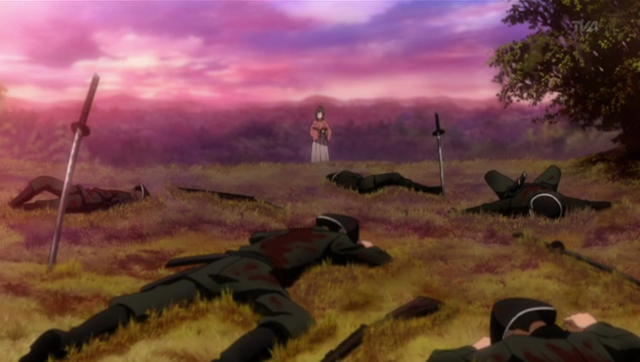 Things aren’t looking well for the Shinsengumi. This week they lose another key member. 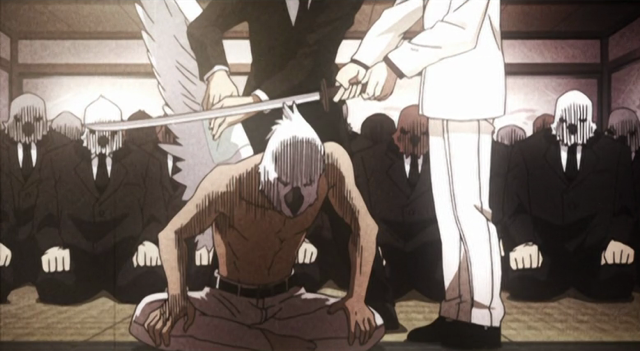 Hijikata forces Sannan to shut down the rasetsu research. As if things weren’t bad enough, we discover that the rasetsu warriors are using up their life force at an accelerated rate. This revalation plays directly into Kondou’s fateful decision. 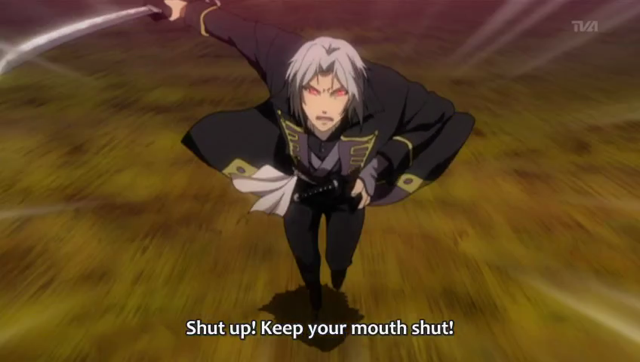 Hijikata is much more emotional this week! When they discover themselves surrounded, Kondou orders all troops (including Hijikata) to escape as he buys time, by turning himself in. 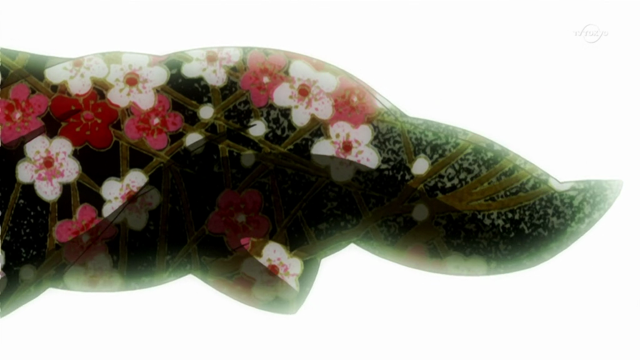 This is almost certainly the last we’ll see of Kondou-san. Hijikata works out some frustration. 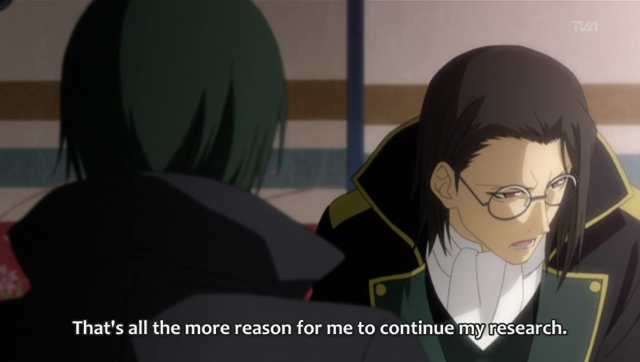 Hijikata questions the meaning of his life up to now. 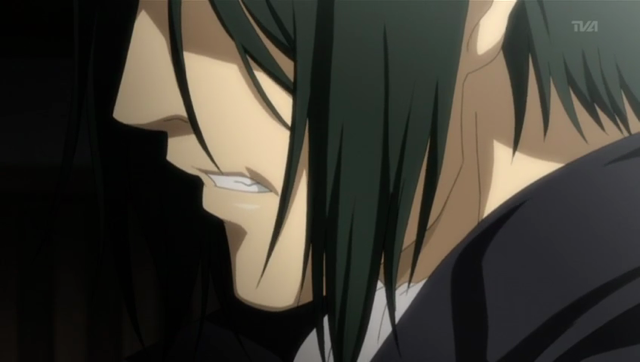 He tries to push Chizuru away, but she refuses to part from him. It seems pretty clear that this is the final pairing. It’s gone from tragic to worse several times already. I wasn’t sure how I was going to feel about the rasetsu and so forth. Before the show began, I was actually thinking a straight historical drama would be better, but I have to admit they used it in an interesting way. Instead of taking the very tragic story of the Shinsengumi, and giving them super-powers, they used the ochimizu to give the Shinsengumi a further handicap. Honestly, that is pretty clever. 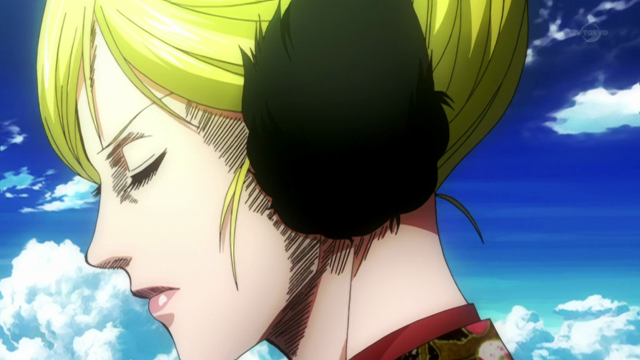 As to the romance, I think they are building the case for Toshizou X Chizuru. Last season was almost completely romance-free, but this season really has been pushing the Toshizuru button. This episode even ended with a tentative hug (sort of). 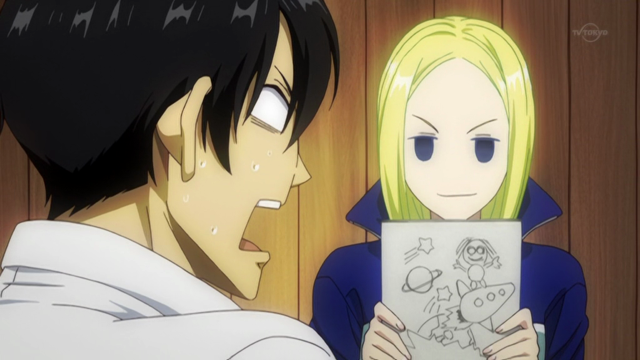 It helps to be open to the crazy when you are watching Arakawa. I think a bunch of people dropped it early on because it is IN YOUR FACE with the amount of crazy it delivers each week. I think it’s funny. It’s almost as crazy as watching Bugs Bunny mess with Daffy Duck, but it also has a more serious side. Definitely worth checking out. Bakuman isn’t my favorite of the season, but it has a very interesting idea, and I’m hoping it will continue to get better, now that the foundation of the story is in place. Though, what I’d like to see happen is the authors of Bakuman actually write out some of the one-shots Saito and Shujin write, after Bakuman’s finished.